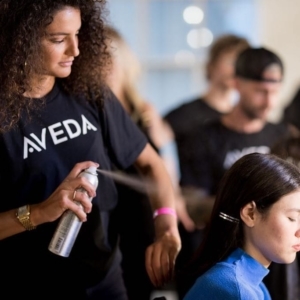 AVEDA is a worldwide network of nearly 8,000 salons, spas, institutes and stores that feature products made with pure flower and plant essences. Some of our graduates go on to be part of creative teams that travel the world inspiring other beauty industry professionals, while others make an impact in their own communities. 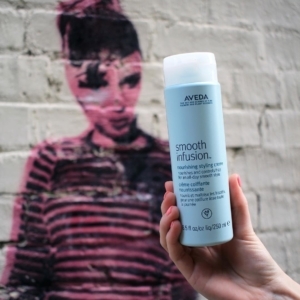 With the AVEDA name behind you, you can design your future! Let AVEDA lead the way to opportunities both within and outside the AVEDA global network. Each of our Institutes engage an Advisory Board of successful salon and spa owners to guide and assess the effectiveness of our curriculum. Each institute has a curriculum that provides hands-on training in our clinic salon and spa environment. You’ll have licensed educators to advise and consult you as you become comfortable with your new skills, and a customer base who understands that you’re here to learn — which is what it’s all about! 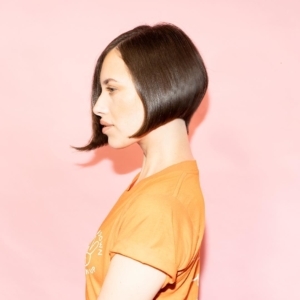 An AVEDA Institute education is rigorous and thorough. Students are proud of the extensive details of their curriculum, which covers anatomy (the bones of the face, important for makeup application) to color theory (essential to understanding complementary colors in hair and makeup). When you immerse yourself in any of our programs, you’ll cover topics in varying levels of depth and detail, giving you a foundation for your professional future. AVEDA Institute graduates receive placement assistance in AVEDA’s professional network of nearly 8,000 salons, spas, institutes and stores worldwide. 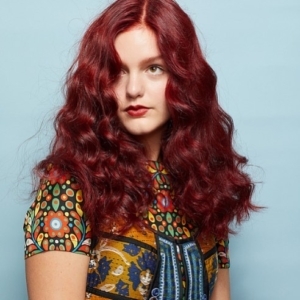 Student placement in successful salons and spas is a priority, and AVEDA brings you incredible opportunities for growth — both personal and professional, however, our placement assistance does not guarantee employment. Our programs are designed to prepare students for the state licensing examinations in their field. Students will be educated on state laws, safety, sanitation requirements, and will learn the technical, personal and business skills to prepare them for work in a professional salon or spa. Since we are also salon & spa owners, we have first-hand knowledge of what owners want in an employee. Our curriculum reflects the insights of successful salon and spa professionals; when you graduate, you will know the qualities an owner looks for and will be equipped with an understanding of the standard of excellence which will meet their expectations. We believe in treating ourselves, each other, and the planet with care and respect. We believe social responsibility is our responsibility. We believe ecological and profit goals are mutually achievable. We believe our authenticity and experience are our points of difference. We believe in inspiring and educating people to integrate wellness and beauty in their lives. We believe in the power of oneness: from our global image to a focused network. We believe learning never ends. We believe in encouraging innovation and empowered decision-making. We believe our actions, products and services should always embody excellence. We believe personal and organizational balance is the key to sustainable success. We believe true leadership is delivered with passion and by example. We believe there is no responsible alternative to doing business other than through the pursuit of environmental sustainability and this belief guides every decision we make. We find inspiration for doing so in nature and believe that nature is not merely something to be cherished and protected, but also should be emulated as a model of sustainability. We also believe that profit and environmental responsibility will increasingly work together as more industries find out that “nature works” for both sustainability and the bottom-line. 5,000 years of results. Our earliest roots lie in ayurveda, the Indian healing tradition based on the knowledge of life and the interconnectedness of all things. It has proven, over 5,000 years, that treating the whole person leads to greater balance and well-being, so we consider the effects of our products not only on hair or skin, but on body, mind and emotion.